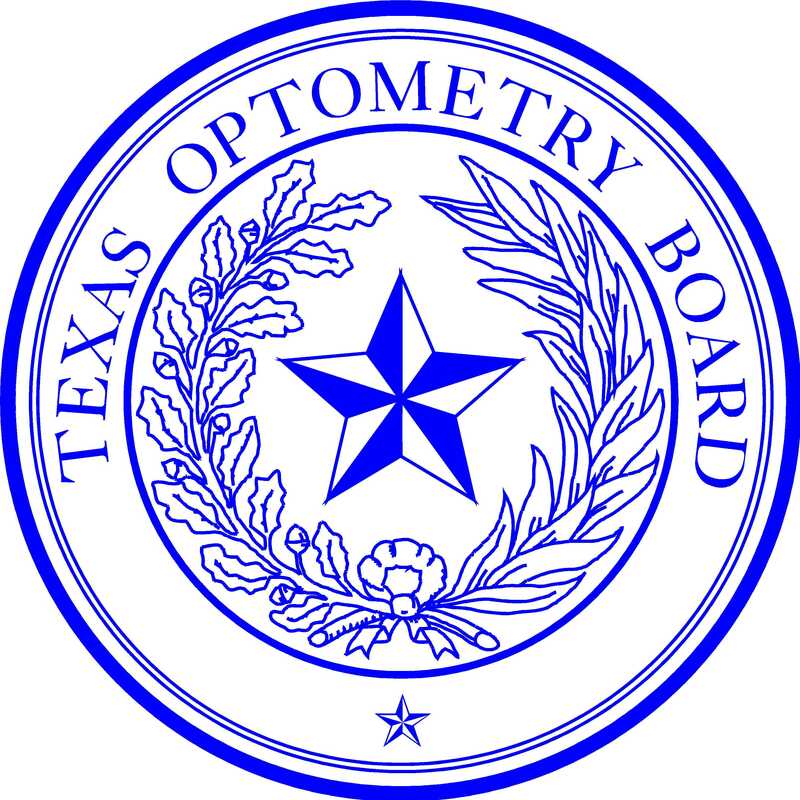 The Texas Optometry Board website is subject to Texas Administrative Code, Title 1, Chapter 206. General Information: The Texas Optometry Board maintains this web site as a public service. The Optometry Board analyzes server logs for statistical purposes only and does not use this information to personally identify users. Licensees renewing licenses on-line are directed to the State of Texas Licensing System. The privacy policies of State of Texas Licensing System are described on that website, including policies that relate to on-line renewal of licenses, including credit card and other information obtained through that process. E-mails or Form Information Received by Agency: Information sent to the Optometry Board through an e-mail or web form may be maintained by the Optometry Board and used by the Board to respond to the e-mail or other information. An e-mail may be forwarded to another agency or entity that has the resources to provide a complete response. Information contained in an e-mail or submitted form may be public information under the Texas Public Information Act. If so, the document must be released if a public information request is made, unless a legal exception applies. Normally non-governmental email addresses are not subject to disclosure unless the affected member of the public affirmatively consents to the disclosure of his or her e-mail address. Chapter 559 of the Government Code sets a policy for state agencies to inform individuals about the information that is collected on that individual, and permit the correction of incorrect information. Each form on the Optometry Board’s website contains a specific disclosure regarding the information collected. Website Security: For site security purposes and to ensure that this service remains available to all users, this government computer system may be required to employ software programs to monitor network traffic to identify unauthorized attempts to upload or change information, or otherwise cause damage. Should this be the case, except for authorized law enforcement investigations, no other attempts will be made to identify individual users or their usage habits. Raw data logs would be used for no other purposes and would be scheduled for regular destruction in accordance with the Texas State Library and Archives Commission. Notice: Unauthorized attempts to upload information or change information on this service are strictly prohibited and may be punishable under the Texas Penal Code Chapters 33 (Computer Crimes) or 33A (Telecommunications Crimes). General Information: The Optometry Board is committed to making its Internet site accessible to all users. To make the site more accessible, the Board includes several features designed to improve accessibility for users with disabilities, including a descriptive text equivalent for images and other non-text elements which aids users who listen to the content of the site by using a screen reader. The website is designed for low bandwidth connections, with limited graphics and animated menus. To improve the accessibility, the Board tests any major redesign with multiple browsers. The Optometry Board welcomes comments on how to improve the site’s accessibility for users with disabilities. If you use assistive technology and the format of any material on our Web site interferes with your ability to access the information, please contact the Optometry Board at the e-mail address below, or at 512.305.8500. The Disability Coordinator is the executive director, Chris Kloeris. Governor’s Disability Committee: Additional information about accessibility programs in Texas is available from the Governor’s Committee on People with Disabilities. General Information: This site may point or link to other Internet sites located on servers maintained by third parties, which may be of interest or assistance to the site visitor. The Optometry Board and State of Texas make no representations or warranty of any kind as to accuracy or any other aspect of the information contained on such Internet servers or sites, and does not endorse the content, products, services, or viewpoints contained within these linked sites, and assumes no responsibility for their content.